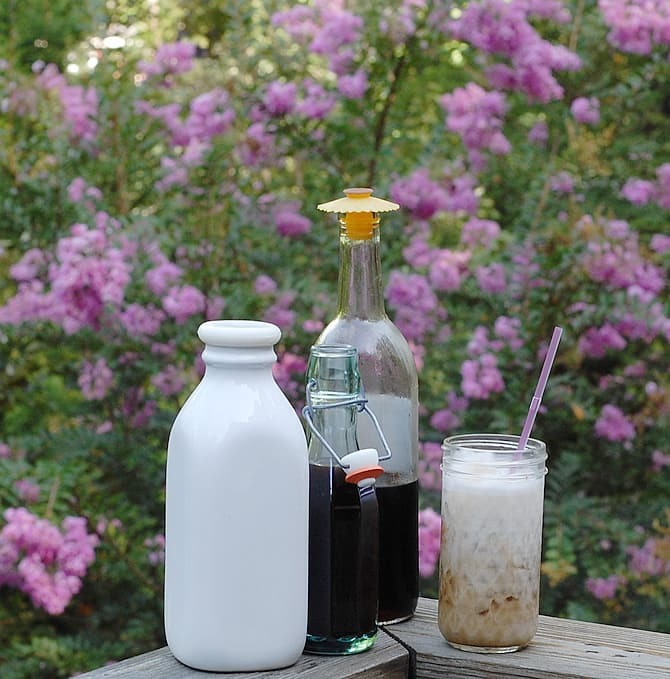 Today I’m sharing a lavender syrup to make a coffee that I saw awhile ago they called Lavender Rain. They steeped dried lavender buds into their milk ahead of time, so there was no vegan option. 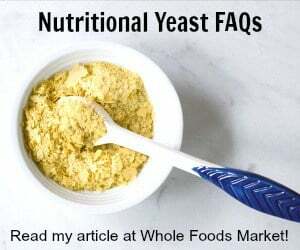 If you make my Lavender Syrup you can use it in the nondairy milk of your choice. I like mine in coffee and tea. I love fancy coffees and sometimes there’s not always a vegan variation that you can get at all coffee shops. 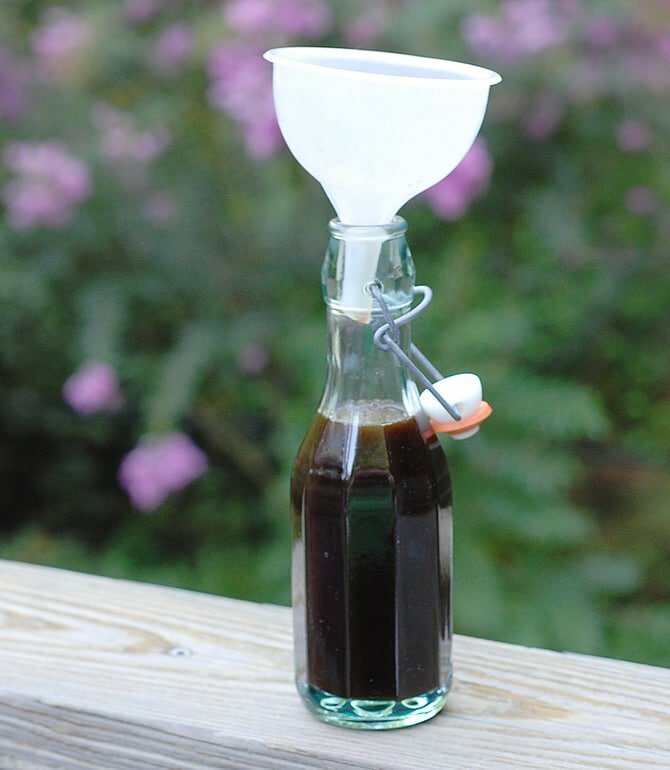 It’s cheaper to make your own syrups and creamers, and it really doesn’t take a lot of time. Can You Cook with any Lavender? You need to make sure the lavender you use is for culinary uses. If you grew it or bought organic from your local farmers market you should be okay, but if you buy it on Amazon make sure it’s culinary lavender. If you are buying lavender to make this lavender syrup on amazon, make sure that it’s culinary grade. What Does Culinary Lavender Mean? Some lavender is grown for the floral industry and may have pesticides that are not safe for cooking with. The words culinary lavender is a green light to use it in cooking. The best part of making your own syrups is that you can use the sweetener that fits with your diet and use your favorite nondairy milk. You can always have your coffee as strong or weak as you want. What Parts of Lavender Can You Cook With? If you are lucky enough to grow your own lavender, you can cook with both the fresh leaves and flowers. Dried you can use the buds and stems to flavor too. If you are buying culinary lavender it will usually be the lavender buds. I don’t know why, but lavender seems to be polarizing just like beets – people either love it or hate it. I love floral flavors in my drinks like orange flower water in my iced tea and roses in my hot chocolate. 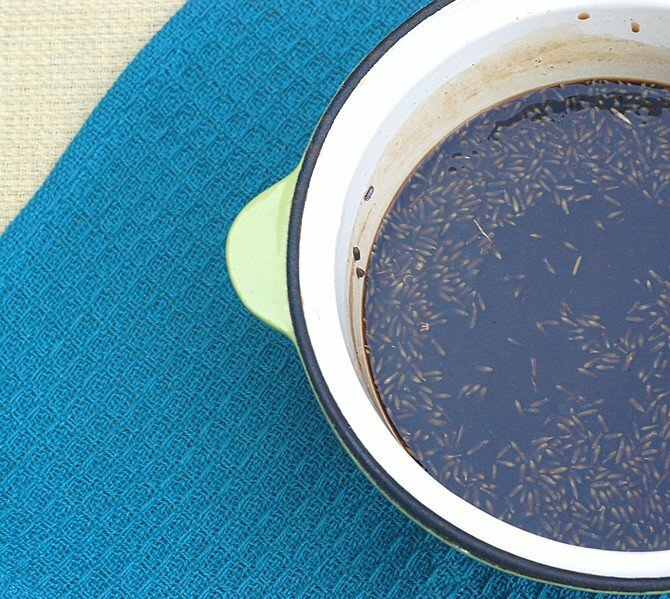 How Do You Use Lavender Syrup? You can use lavender syrup in plain sparkling water to make a soda or mocktail. It also makes a great cocktail with gin. I love it in iced and hot coffee. It’s great in tea and it’s amazing with Earl Grey Tea. Add a little lavender to your morning routine. They say lavender is good for relaxation and can even help with depression. Put the water and coconut sugar in a saucepan and bring to a boil. Stir and cook until the sugar is completely dissolved into the syrup. This will take about 3 minutes. Take the pan off the heat and stir in the lavender. Steep 5 to 8 minutes depending on how strong you like it. Taste at the 5 minute mark and add the other 3 minutes on if you don't taste enough of the lavender flavor. I don't recommend steeping it much longer than that because it will start to get bitter. Strain through a fine mesh strainer to remove the lavender buds. Store in the fridge for about 2 to 3 weeks. 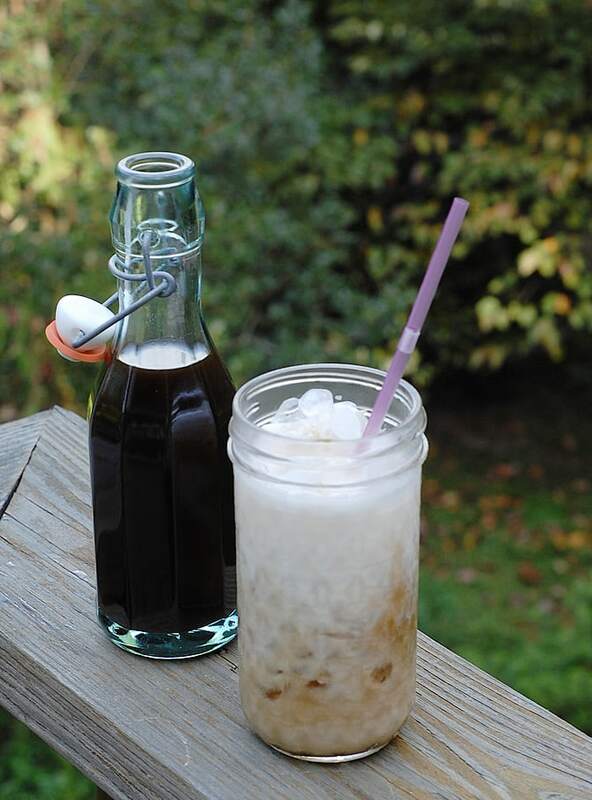 Use about 1 tablespoon of the syrup in hot or iced coffee. Slow Cooker Method: Add all the ingredients to a small 1½ to 2 quart slow cooker and cook on low for 4 hours. « A Vegan Menu Plan Full of Takeout Recipes that You Make at Home! I’m on the side of LOVE when it comes to lavendar. 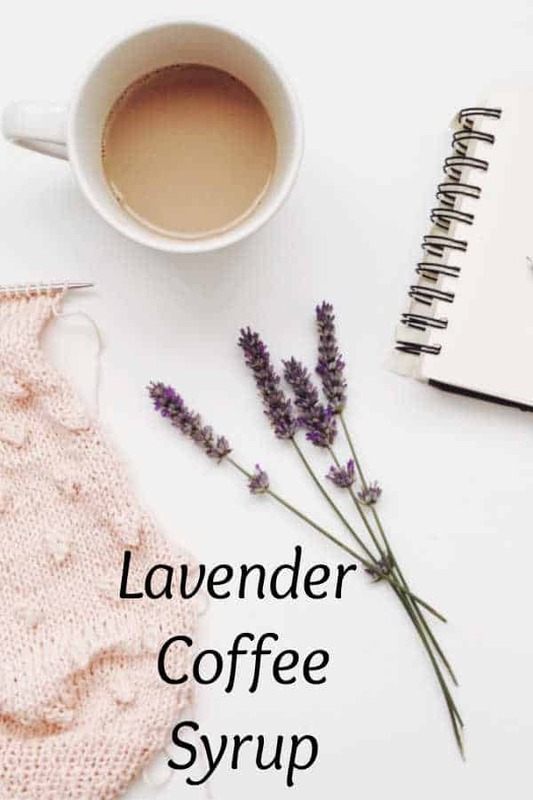 I’ve never had lavender coffee, but now you have me curious! That sounds so amazing Kathy! I am definitely going to make this! Made this with regular unrefined sugar and vanilla bean, plus some more lavender for less steeping time. Absolutely delicious!! What can I do with the leftover sugar soaked lavender and vanilla? You can always put the vanilla bean into some sugar to infuse it with vanilla essence. You could probably do the same with the lavender though you might have to let it dry out some or keep it stored in the fridge. Maybe make lavender coconut macaroons ???? Sounds delicious! When you say store in the fridge for 2-3 weeks, do you mean to wait that long before using? Or is that how long it is good for? That’s how long it’s good for. I am another one with no lavender syrup history but THIS looks and sounds amazing and amazingly easy! Have pinned this one! Does it have to be stored in the fridge? 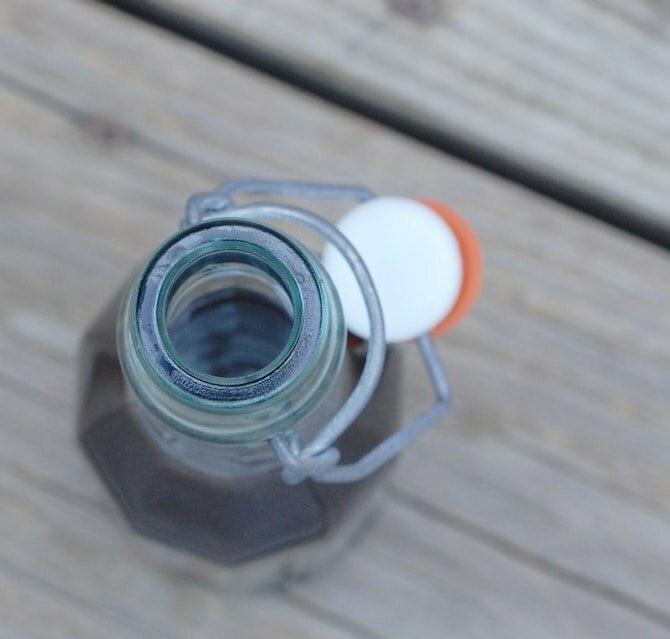 Yes, I always store homemade syrups in the fridge.